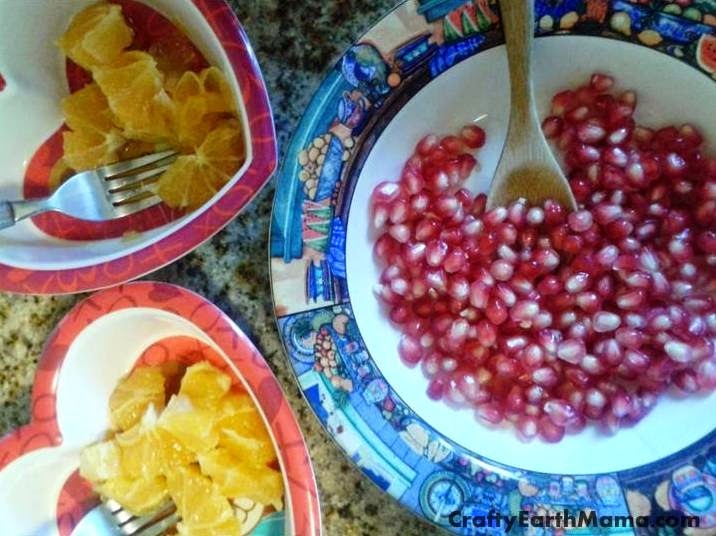 Fresh pomegranate seeds from 1 pomegranate and orange slices. K promptly reminded me she doesn't like oranges and passed those on to S. They both ate all the seeds and then asked for more, so I took the seeds out of about 1/4 of another one. They were incredibly delicious! I just love watching my kids eat! It's so cute to me and I love seeing them enjoy their food. Do you watch your kids eat? 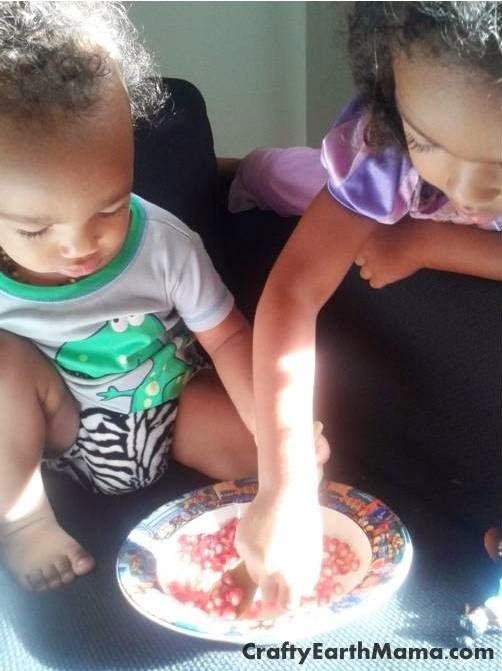 What everyday things do you like watching your kids do?